River Crossing is a long-­term city­-building initiative that will work to transform the western area of the Rossdale neighbourhood. 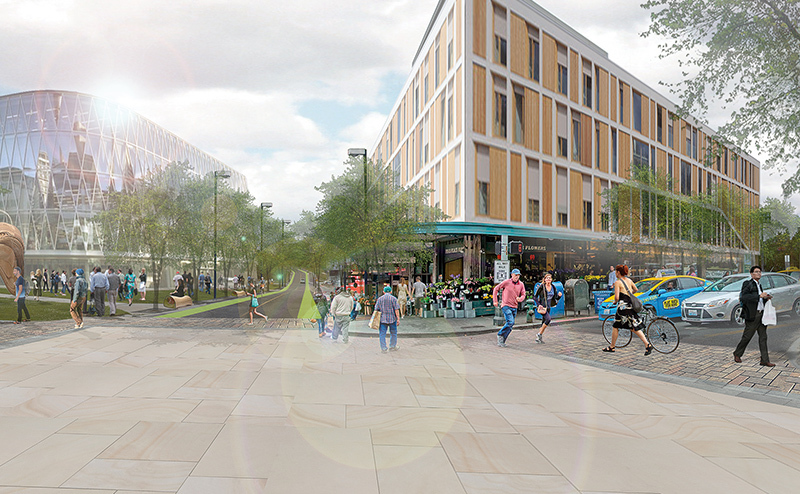 A Vision for River Crossing sees this area evolving over time into a vibrant community and special place in our city; a place that embraces and celebrates its rich history, and that creates excitement about our shared future. Tell us what you think about the draft River Crossing Business Plan! We invite you to share your feedback and perspectives on the preferred land use concept and draft Business Plan at a drop-in public open house. In April 2015, City Council endorsed the Vision for River Crossing. This vision sees the River Crossing area evolving over time into a vibrant community and special place in our city; a place that embraces and celebrates its rich history, and creates excitement about our shared future. The vision for this transformation is centered around a number of interconnected projects, namely a revitalized West Rossdale, the new Walterdale Bridge, the Touch the Water Promenade, a repurposed Rossdale Generating Station and a celebration of the rich history of the Rossdale flats. Together, these projects can have a positive collective impact on the neighbourhood and city. However, the City of Edmonton acknowledges that setting the path towards positive change requires significant and thoughtful consideration. It also requires meaningful engagement with Edmontonians as well as the many interest holders and stakeholders in the River Crossing area. To bring the Vision for River Crossing to life, City Council directed Administration to advance a number of actions, including the preparation of a Heritage Interpretive Plan and Business Plan. The Heritage Interpretive Plan considers how to interpret heritage and culture within the River Crossing area over time. It also serves as a cornerstone for the Business Plan, which will provide an actionable guide for investment, implementation and decision-making. 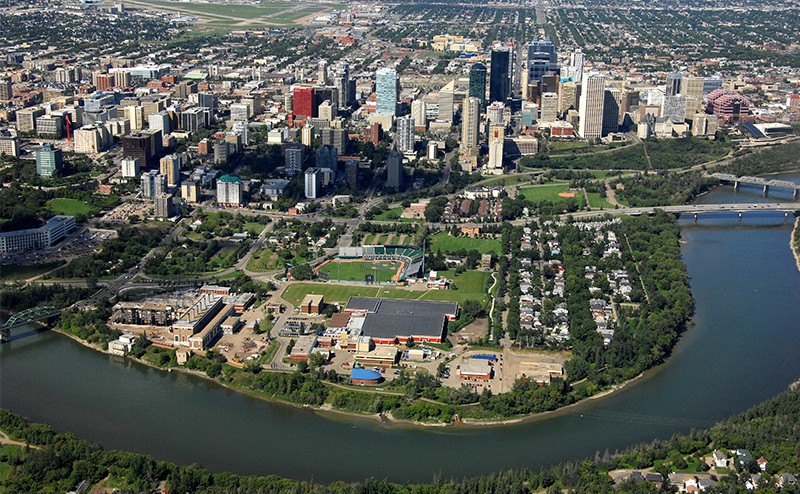 The River Crossing project area is located directly south of downtown and east of the Alberta Legislature. The area includes the west portion of the Rossdale neighbourhood, the site of the historic Rossdale Generating Station, as well as the north bank of the North Saskatchewan River stretching from just west of the new Walterdale Bridge towards Fire Station 21. Establishing a long-­term vision for this river valley neighbourhood.